You are currently browsing the category archive for the ‘Bread’ category. 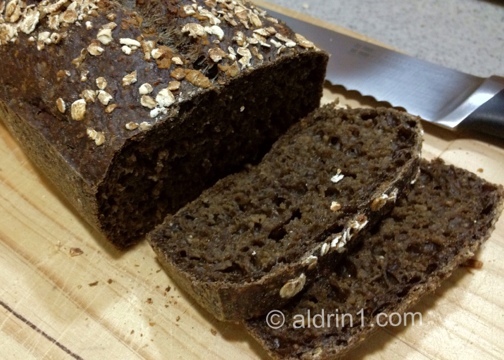 Sorry it’s been a while since my last post … sadly, my job’s been keeping me busy, too busy to do any cooking or baking, let alone try out new recipes. But I’d just discovered the Food Network a few days ago when I was changing my cable plan. And the first show I’d watched on that channel was a pretty funny one by the witty Alton Brown … Good Eats. Not only does Alton show us how to cook … eh, well … good eats, of course, but he also gets educational with the history, science and nuggets of information about those good eats, all accompanied by some humor. Check his show out on your TV or the episodes available on YouTube. 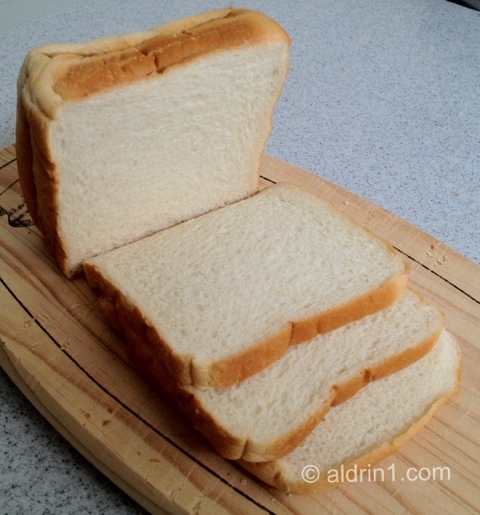 It’s the next day, so let us see how well my first try at making the Softest White Sandwich Bread is. 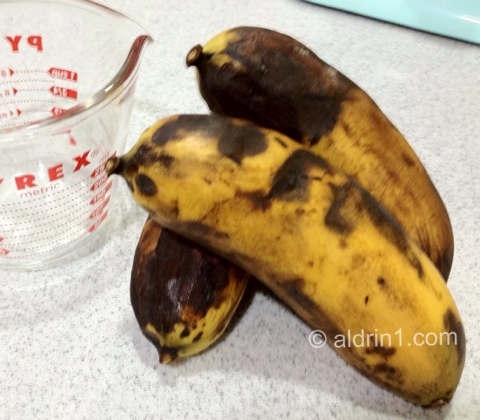 So, our kind neighbor gave us some fat bananas the other day … really fat bananas! Here they are next to a Pyrex measuring cup to show off their size. Have you ever seen such fat bananas before? Anyway, we’ve been wanting to eat banana bread, so I took this opportunity to bake some using these bananas.